Some of you may have seen the videos on YouTube showing footage from road junctions in India and Delhi in particular. I can confirm that the standard of driving here is every bit as bad as those videos portray. We were introduced to Delhi driving on day one of our journey from the airport where, as we neared our hotel, a trishaw refused to acknowledge that our 50-seater coach had the right to turn into the driveway and just kept cycling with the result that the vehicle. its driver along with a shocked passenger were pushed over, thankfully with no injury to either. In the UK, Europe, North America, etc., we drive by consent, by mutual agreement to follow the rules of the road laid down by the government. 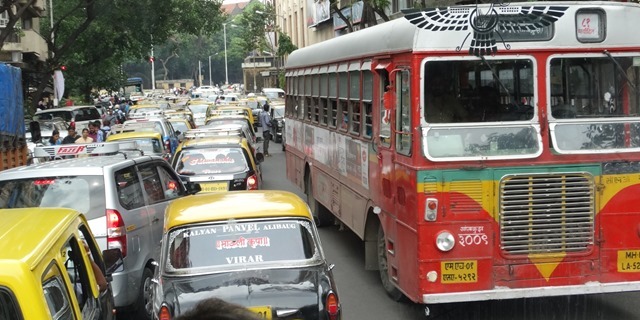 In India there are rules but they are generally ignored if it means being delayed in any way. I was talking to someone who regularly travels between London and India and he told me that in India they drive by adjustment’. If someone comes from the left and cuts you up, you adjust by going to the right. In a traffic jam if there is any kind of space in front of you, you adjust to get into that space and others will adjust around you. I’m not so sure about his theory; it all looks like total chaos with everyone determined to get where they want to be without any regard for anybody else. However, it seems to work somehow. 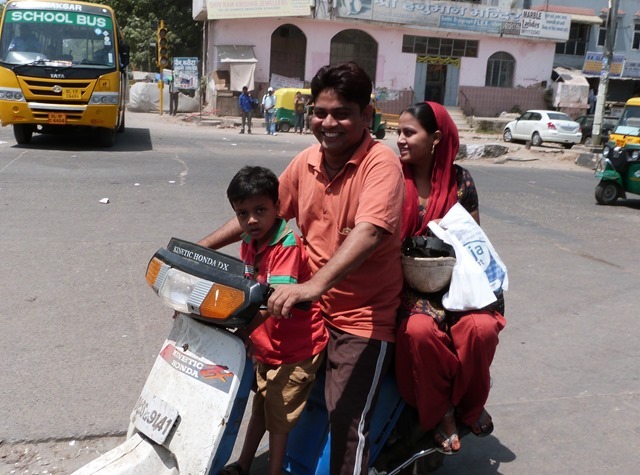 A few words about motorbikes in India. First of all, there are an awful lot of them and it is mot uncommon to see three, four or even five people riding on one. In these cases you will see the driver wearing a crash helmet as the law dictates, but none of the other passengers. They are used for haulage of sometimes unfeasibly bulky objects and I have seen a picture of one being used to transport a donkey in an ironic reverse of traditional roles (I’ll try to upload it soon). 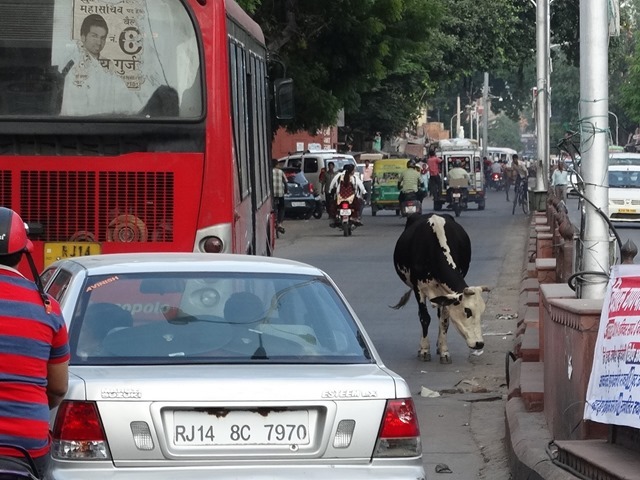 There is one rule that all Indian drivers observe is to avoid animals on the road, especially cows. Cows are sacred here and you get the feeling they know it by the way they calmly walk into the busiest thoroughfares knowing that cars will avoid them. If you ever come to India, take my advice; don’t drive!